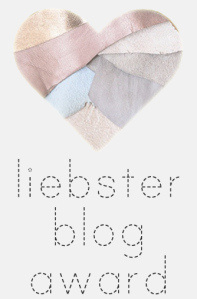 This entry was posted in Awards, Influence and tagged awards, Inspiration, Liebster Blog Award by MaryALivingston. Bookmark the permalink. Congrats and thank you, my friend! I am glad this is a long weekend so I have more time to respond and your blog suggestions have given me more great blogs to follow. Happy Thanksgiving. Thank you so much for you kind words. Happy Thanksgiving! Congratulations on a well deserved award and congratulations to all those remarkable bloggers who received your nomination!! I am celebrating with you!! Thank you for the nomination, I look forward go answering the questions!! You’re welcome.I have enjoyed your blog, hope others will as well. Hi Mary, Thanks for the nomination! I am always happy to see that you or anyone likes something that I have written, it motivates me to write more and makes me realize that you are never alone in most of the things that you experience. I want to respond to the award but I have to admit that finding time to write has left me with little time to read, so over the next few weeks I think I will do some research and exploring and complete the acceptance once I uncover some more young blogs to pass the award on to. Thanks again. Yes, thank you. I just think that maybe that is only counting the followers on wordpress and not in general. But I will take that into consideration. When I look at mine, or my husband’s, it shows both wordpress followers and email followers as one total.